This card was put out in 2018 by Superstars of the Squared Circle, you can buy the whole set from them on there website here. 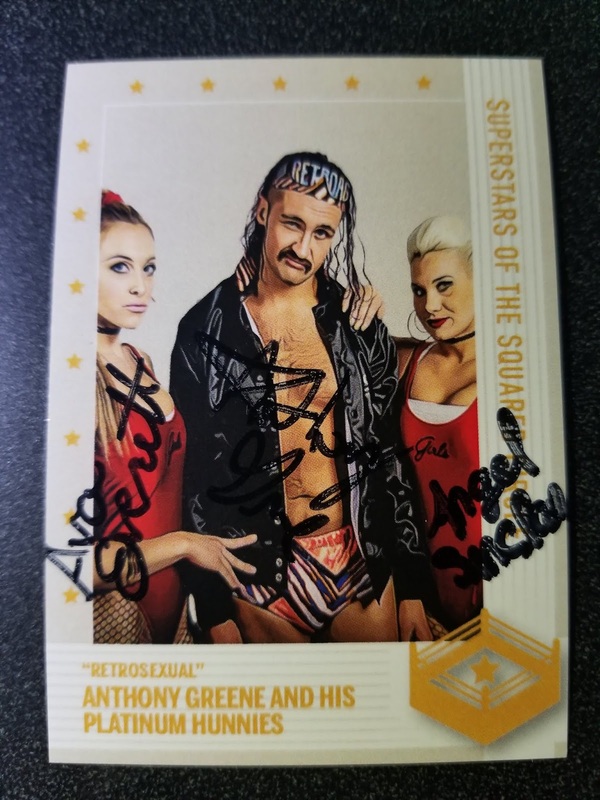 I bought this from AG direct, it also features his Platinum Hunnies and I got all three to sign it. This card is part of the 2017 Stardom Collection trading cards. 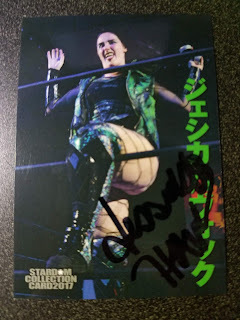 I have her other card signed as well, you can see that on this post here. 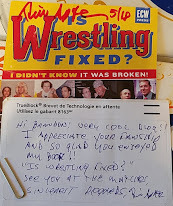 Once again Jessicka commented that she didn't know this card existed. 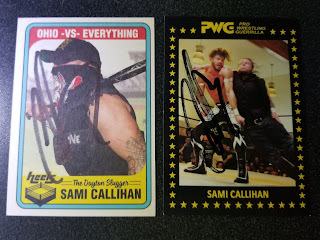 The card on the left was released by Pro Wrestling Crate in 2018, but I bought this on from Sami at the show. The card on the right is from the PWG BOLA 2017 fan made set. 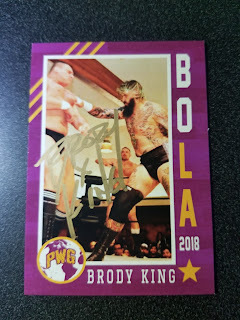 This card was released in 2017 as part of the PWG BOLA fan made set. 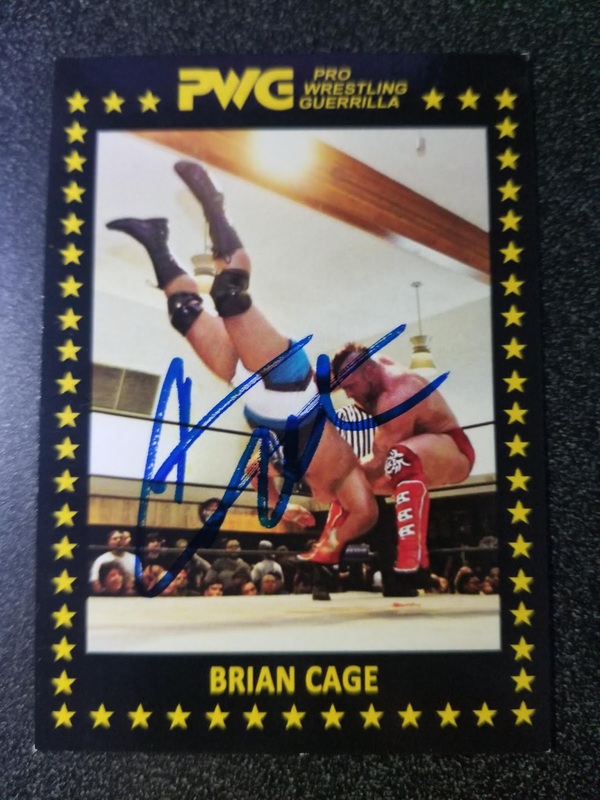 This card was released in 2018 as part of the PWG BOLA fan made set. 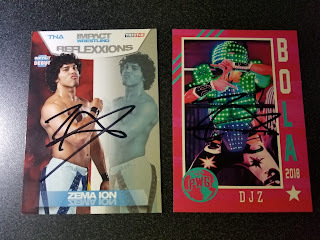 The card on the left was released in 2012 by Tristar as part of the Impact Wrestling Reflexxions set. 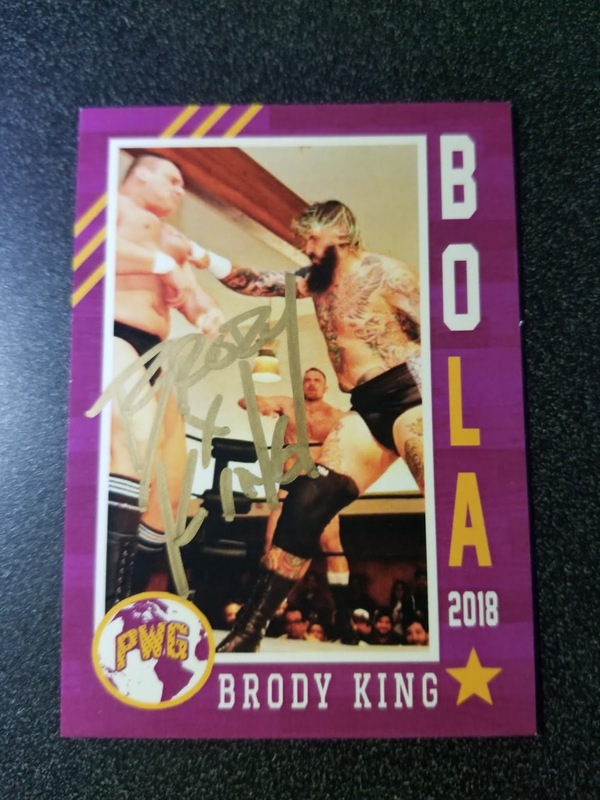 The card on the right is part of the PWG BOLA 2018 fan made set.